ONLINE REGISTRATION ENDS THURSDAY AUGUST 23TH @ 5:59 P.M. 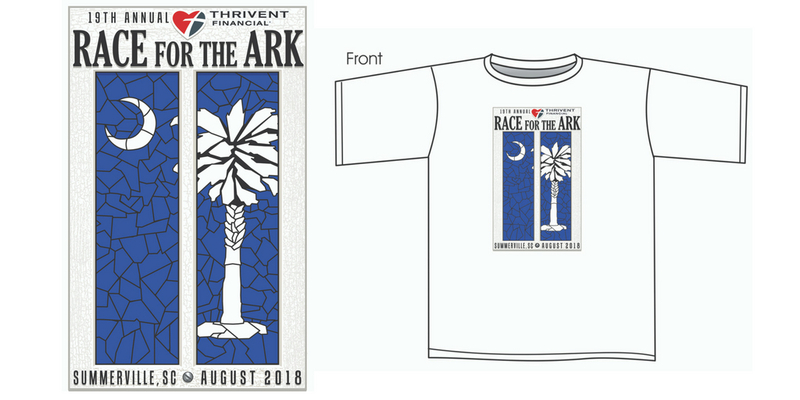 CHECK OUT OUR 2018 RACE SHIRT! This year's t-shirt is quick-dry fabric! If you like a loose fit, order one size larger than usual. 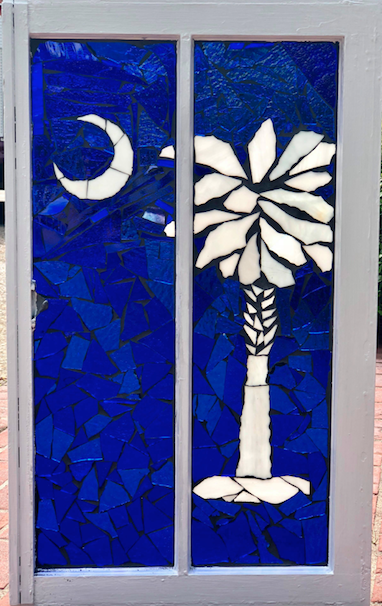 A beautiful handmade Stained Glass Window! The drawing will be on race day (August 25) if minimum of $500 in tickets have been sold. Purchase your tickets in person or online and we will enter your name into the drawing. Safety NO PETS permitted on the course. HEADPHONES and wheeled strollers are discouraged. 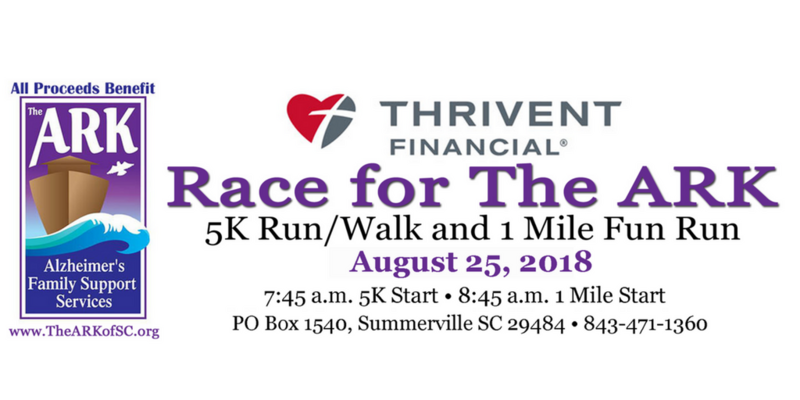 Start The race starts and ends beside St. Luke's Lutheran Church, 206 Central Avenue in Summerville. There are three water stations. The course is USATF certified (SC12043DW). This is a RAIN or SHINE event. ● Enter one (or more!) 5-member team in The ARK's 5K Run/Walk. This is a great event to build team unity and have fun. ● The winning team (combined best times) will receive a hand-crafted traveling trophy to display at their business or organization for one year. 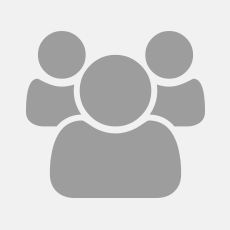 Each team member is also eligible for individual awards. 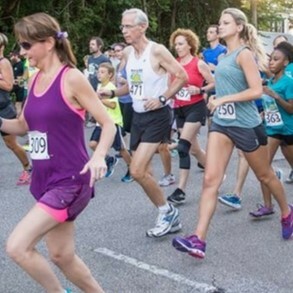 ● The race/walk starts and ends at St. Luke's Lutheran Church, 206 Central Avenue in Summerville. ● There are three water stations and the course is certified (SC12043DW). This is a RAIN or SHINE event. ● Deadline – July 23, 2018 for inclusion on T-shirt - No Exceptions! ● Online registration -- Be sure to have ALL your participants' information handy! ● Opportunity to provide promotional items in runners’ bags. Items due by August 14th. Youth/High School teams are invited to compete in this event, in a special category. Team Registration is due no later than August 13th. Parental waiver must be signed by a parent or guardian of each team member under 18 years of age. Team members 18 years of age must sign for themselves. For more information and registration, please contact Michel'le Cressman at The ARK, 843-471-1360.